Algebra one opens the door and begins to build the foundation for high school math. Because of this, we take special care with our incoming students, guiding them toward learning the concepts and building their knowledge base so they can call to mind facts quickly and precisely in their later math courses. As a private high school in Lodi, we are able to dive deeper into our algebra one course, customizing the class to address the students’ needs, curiosities, and previous knowledge, so they are more able to succeed as the curriculum becomes more complex. 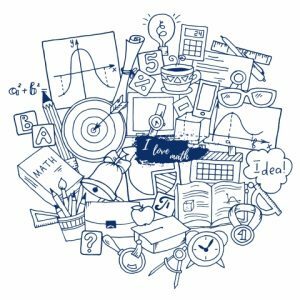 Much of algebra one helps our students learn algebra in a profound way without overwhelming them, easing them into more intensive math courses later on in their high school career while still challenging them to new heights.